Building work on a new £8.4 million centralised school for North Uist and Berneray is set to start. Western Isles Council have announced that Willmott Dixon, of the UK’s largest private building groups, in collaboration with the Robertson Construction Group, won the contract. 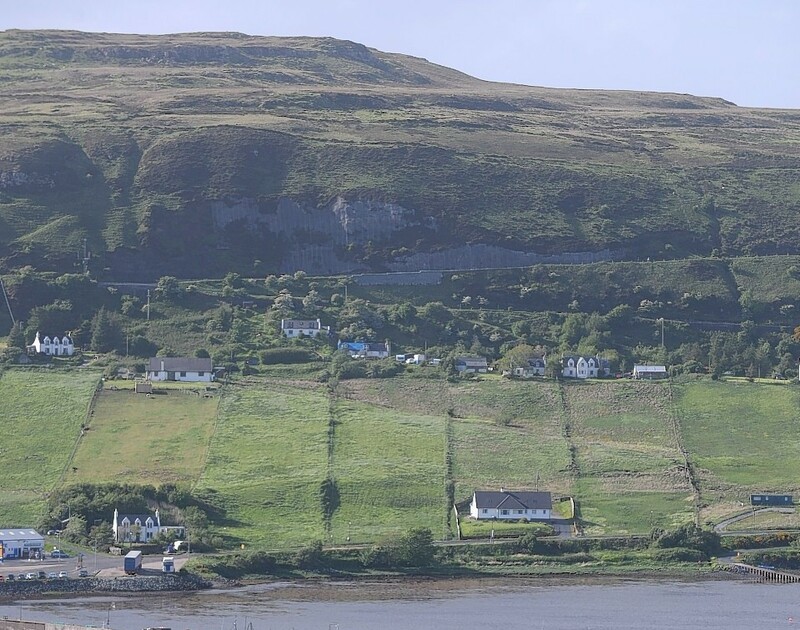 The proposed modern education facility should be ready in summer 2016 and will replace the present Lochmaddy, Paible and Carinish primary schools. Similar in design to Balivanich School, the new facility will accommodate around 75 children. Older pupils are being bussed to Lionacleit after the only secondary in North Uist, Paible S2 school, shut in 2013. The centralised facility will be constructed on the existing Paible School site at Bayhead on the west side of the island. It will include a nursery, floodlit multi-use games area, a floodlit synthetic grass pitch and car parking. To combat the risk of flooding the floor of the school will be heightened above potential water levels. Gabion baskets filled with excavated material from the site will create terraces flanked by railings. The controversial demolition of the old head teacher’s house which is used a community facility will proceed in May. The old house is currently used for various community and business activities including the local development company, polling station, meeting place for townsfolk and pensioners as well as a hairdresser’s. It is also used as a GP surgery and the community has already raised the difficulties elderly or infirm patients face for the alternative 30 mile round trip to see a doctor or to pick up a prescription. The secondary wing of the present school will also be knocked down. Work on the campus is to start by the end of April. The Comhairle anticipates getting nearly £2.24 million from the Scottish Government. The rest of the cash has been earmarked from its own funds. If ever required, around 100 pupils could be accommodated in the school. Baby and infant nursery units are also included. A car and bus parking and drop-off facilities are also part of the plans. In addition, environmental garden plus a polytunnel and planting area will be on campus. Western Isles education chief Catriona Stewart said: “I am delighted that the project has reached this key milestone. “The council aims to allocate resources in a way which will secure the best possible educational experience for pupils in the Western Isles, and one of our key objectives is the effective deployment of resources to secure continuous improvement in educational achievement and attainment. Architects are be 3DReid who were the lead designers of the other new Western Isles schools and own the copyright of the design preferred by the council.